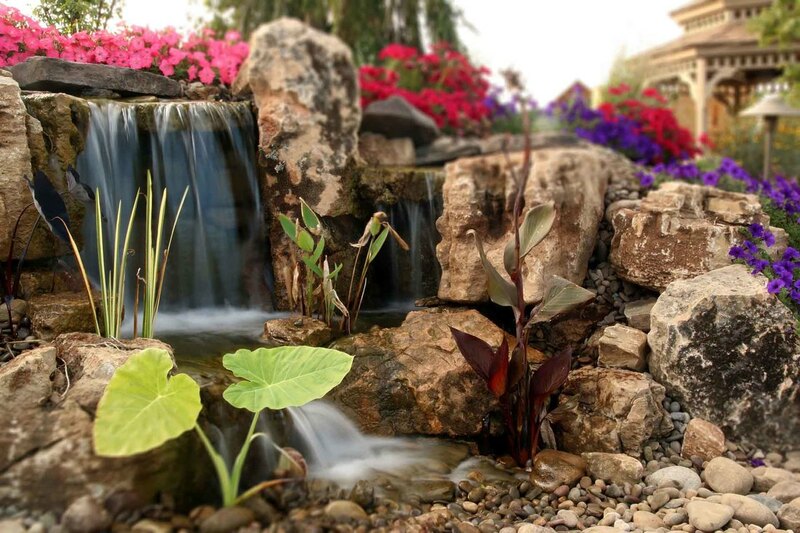 Pondless® Waterfalls are simply a re-circulating waterfall and/or stream without the presence of a pond. 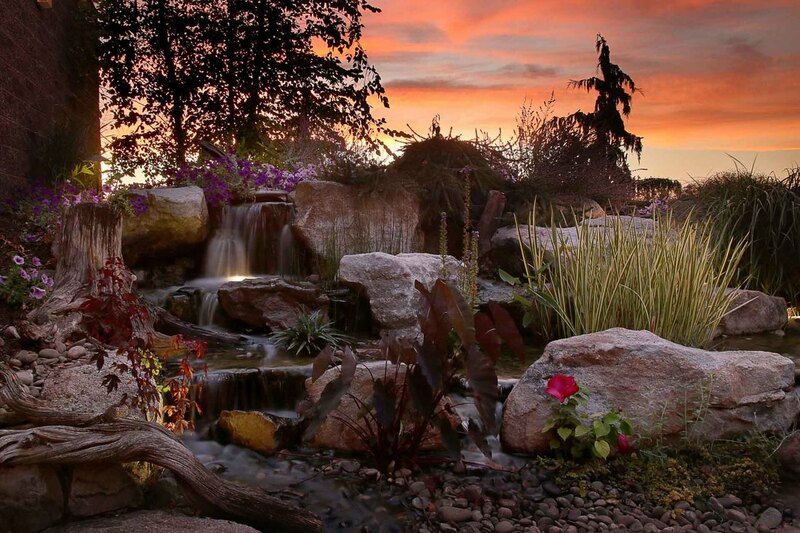 You can enjoy the sight and sound of running water in your Bedford backyard without the maintenance of a pond.The waterfall is undoubtedly the most beautiful and favored feature in a water garden. 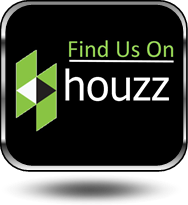 If space is lacking in your yard or you have safety concerns with a pond, go Pondless®! The name basically explains it all. It’s a waterfall and stream, without the pond. So why would you want a waterfall without a pond? 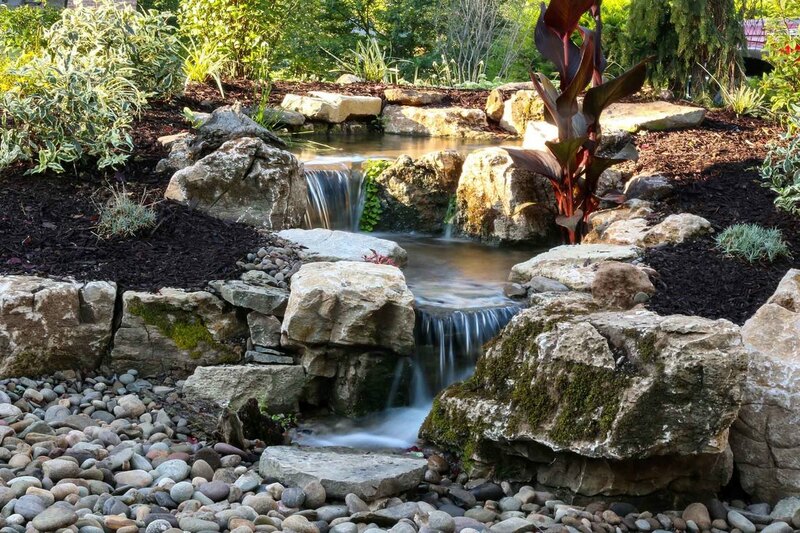 The truth is that a Pondless® Waterfall isn’t for everyone, but it can be a great alternative for someone who isn’t quite sure if a pond is right for their family. Complete System: It might be difficult to imagine a waterfall and stream without a pond. Where does the water go? 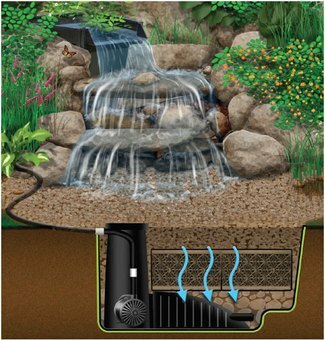 A Pondless® Waterfall works much like a regular pond. The hole, deeper than a normal pond, is dug then lined with rock and gravel, and filled with water. The water is then circulated from beneath the rocks and gravel by a pump that sits on the bottom, inside a Snorkel™ Vault and Centipede™ Module. 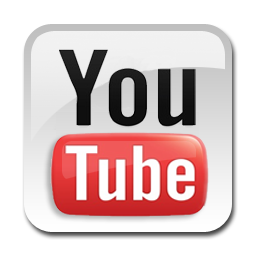 A pipe runs from there up to a BioFalls™ Filter and into an overflowing waterfall, where it falls back into the reservoir. Since the water level never pools above the level of the rock and gravel fill, it gives the appearance of a waterfall without a pond, when in fact, the “pond” is there but not visible. The Pondless® Waterfall has made many water-lovers who were previously unable to indulge in the sweet sounds of falling water, very happy. 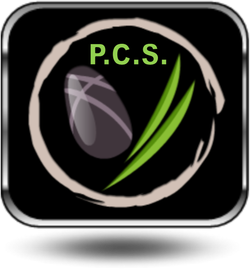 It’s a great alternative for those who are trying to get their feet wet, or looking to fit a little bit of paradise into their own Bedford Pa backyard. 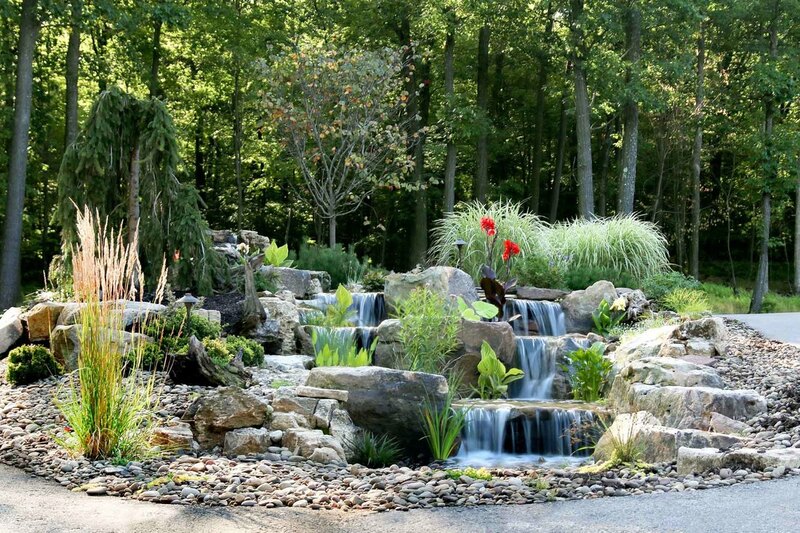 We Design & Build Disappearing Pondless Waterfalls for Bedford homeowners.